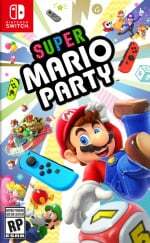 Super Mario Party has just faced its second week in stores, and Japanese figures (from 8th - 14th October) report that its sales have remained relatively high, despite dropping to second place in the charts. The new rival taking over that prized top spot is, of course, the newly-released Call of Duty: Black Ops IIII, selling a very impressive 228,775 retail sales in the region. 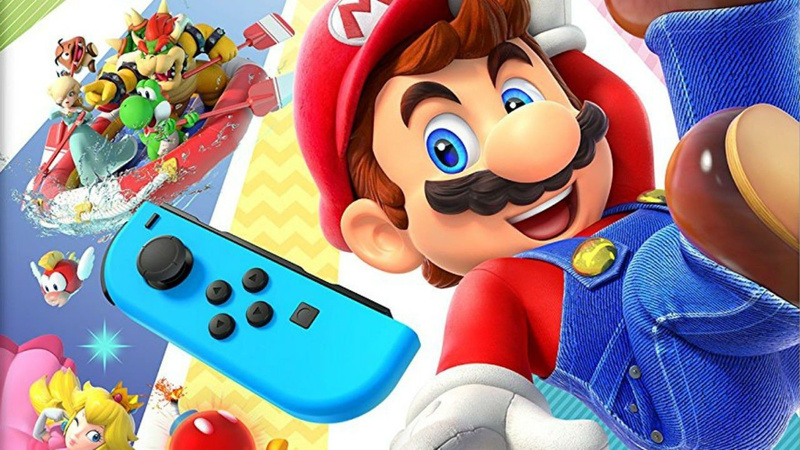 For the sake of comparison, Super Mario Party managed 142,868 sales in its first week, with this week's total at a lower number of 63,451. Elsewhere, things have been rather quiet in the Japanese charts, with no new major Nintendo releases to speak of. The Switch's heavy-hitters are still sitting in and around the top of the charts, however, as is usually the case. The Switch is still top of the hardware sales this week by a comfortable margin, although the PS4 Pro has seen a significant boost, no doubt thanks to Call of Duty's latest offering. Here are this week's figures, with last week's in brackets. Any surprises this time around? How long do you think Super Mario Party will stay near the top? Let us know with a comment below. I'm still shocked the game did so well. Like, I've been annoyed with Mario party for so long that the fact that this one is good is blowing my mind. I thought FPSs were a lost cause over there? PS4 still pulling 25k is no joke this late in it's life. Drop that price and watch it remain that high. What little there is of it is decent but to be frank the fun to be had in this game is worth 1/3rd the cost of it. Not worth a full price purchase at all. @Spoony_Tech this late? This is it's prime... The PS4 isn't even 5 years old yet. You're talking as if it's coming to the end of its life... This is around the end of 2011 in comparison to the PS3 and the best games where released between 2010 and 2013 last gen.
Well 12 out of top 20 are Nintendo, so, good on them. The more I think about it every week, the more I question why we bother with these lists anymore when we don't count digital sales. I mean, I prefer physical myself, but not counting digital sales in 2018 just seems to make a game sales list totally irrelevant. Or if not totally, largely skewed. I hope that Super Mario Party will continue sell well in Japan and in the rest of the world, it is a great game!! People are still buying Call of Duty games? Last I checked, many people thought it was an overly milked franchise that needed to die, and that was over 5 years ago. I got nothing against the series, just surprised it's still relevant. @ReaderRagfish There simply is no competition. Add to that every year there are new gamers and for some this will be there first Cod or second or third and in no way have they hit Cod fatigue yet. @Heavyarms55 I think the problem is, that it's up to the platform holders to provide the eShop figures, digital downloads. I don't know about the rest but Nintendo don't readily supply that data, at least not specific numbers. It's crazy Splatoon 2 keeps cruising along like it is, but I guess many of those new Switch owners each week are buying it for the first time too. What is the attach rate for it in Japan? Of course, I read somewhere that Mario Odyssey has sold 9,000,000 by now so that is like half of all Switch owners having the game. The power of having a battle royale mode. @rdrunner1178 Odyssey has sold over 11m according to Nintendo's July statement. Cold Steel 4 is doing well, Would love that (and #3) on Switch. Not being able to play it on the GO like the first 2 will be a pain. Varnir of the Dragon Star: Ecdysis of the Dragon. Should also be on Switch at this point. It can sell 8K easy. Pretty underwhelmed by PS4 sales after the PS4 Pro price cut. @Captain_EO othing stopping them though. They could provide that data. @Heavyarms55 I agree, and I would be very interested in that information too.